Heldhaftig Yoga, founded in 2017 and located in Amsterdam Oost, overlooking the IJ, is made for everyone. Heldhaftig means courageous, because we believe there is a warrior in all of us! Whether you are looking to get stronger, more flexible or to find balance at Heldhaftig Yoga we have the class you are looking for. 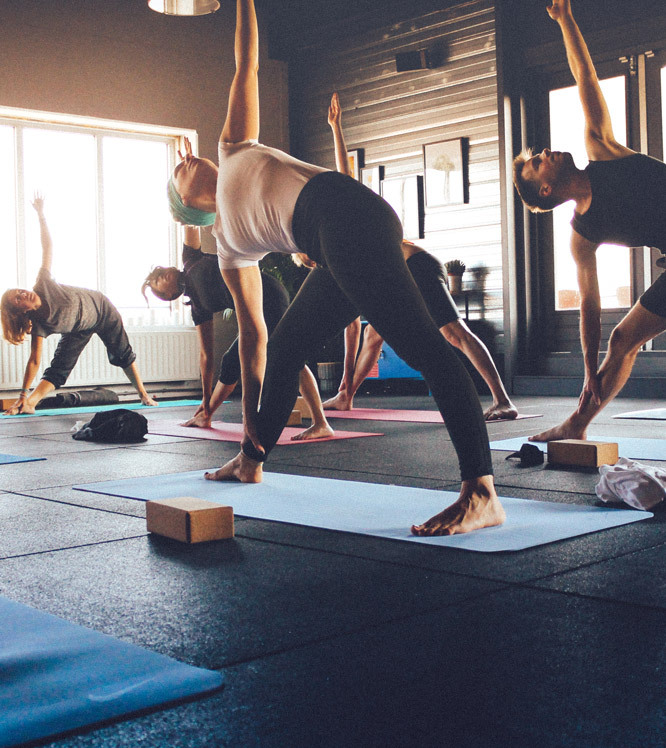 Our challenging Power Yoga sessions will make you sweat, Strength and Yin will get you strong and flexible and our candle lit Yin classes will help you find relaxation. Set in a lively environment with a cosy coffee bar and a popular CrossFit gym as neighbors Heldhaftig is as vibrant as Yoga studios get! What do you need? If you are trying yoga for the first time, come in fifteen minutes before your class starts, we recommend wearing comfortable clothes (no shoes necessary). Nothing else needed – we provide the mats, the only thing you have to do is get on it! Where are we? You’ll find us when you go up the stairs at Veemkade 1288, next to the Albert Heijn. If you come by car, 90 minutes of free parking is available in the parking garage underneath. Please come in five minutes before class starts, we don’t allow late entries out of respect for the other students! Thank you for leaving your phone in the lockers and your other belongings in the dressingroom. After class we have showers available, shampoo en soap included. You can find our studio going up the stairs throught the doors left next to the Albert Heijn.